Hey guys, just thought I'd post a bit of an update here. Why can't their website show stock like any other ecommerce site? In terms of requests for more apparel that's faction themed such as hoodies, t-shirts, mugs etc - We're currently working on a list internally, and most of the suggestions from this thread are on that list. We'll then put it to our partners at DPI and see what they can manufacture for us. The idea going forward will be to have a select number of permanent items in the store, then others that will slip in and out of rotation during various seasons and during various events. Even if it fit, the material is so thin that I can't imagine it providing any warmth. Sorry to hear you didn't like it, the hoodie is noted in its description as lightweight and layerable in 4.4 ounce cotton. We thought this would be clear enough, and will look at editing the description. Highly disappointed with the contents of the store. CCP needs to rollback to the way the store was about 6-7 years ago. Maybe I mean 10, I lose track of time easily. We're acutely aware of opinion on shipping costs, and it's something that we'd love to address. At this stage however, the store doesn't ship the required volume to be able to reduce the price of shipping. We're still looking at evolving the store, offering more and varied apparel, and looking at what we can do better with our partners to improve the experience, so thanks for all the feedback so far! 9 USD coffee mug ... with a 35 USD shipping cost?! I am not sure if I just missed the description but that coffee mug that I ordered and just received was the "BIGGEST" coffee mug I have ever seen. It is like double a regular coffee mug. WTF. I remember the old store having a size graph to show size comparisons for apearal. Anything like that still floating around? Even here in the US it might be a bit different depending on where you buy shirts and such. I would like to suggest stating that, if possible, on the site so as to avoid confusion, if it hasn't already been requested. More coffee, less running, more 'splosions. Can't you see it!? So when the store doesnt ship because of high shipping costs, you will not seek other methods to push down shipping costs? Seems very selfdefeating. I dont know if CCP have some kind of deal with this store, but it seems so. Bad thing you didnt thought it over earlier. How about asking musterbrand to design new apparel, their jackets and hoodies were awesome...expensive, but awesome! I have seen a lot of complaints on the lack of "content" in the new store. Some ideas include tshirts as mentioned, but not just baseball caps, QUALITY caps, with a hook and loop square 3x5 inches (velcro) to add any of a myriad of logo morale patches. 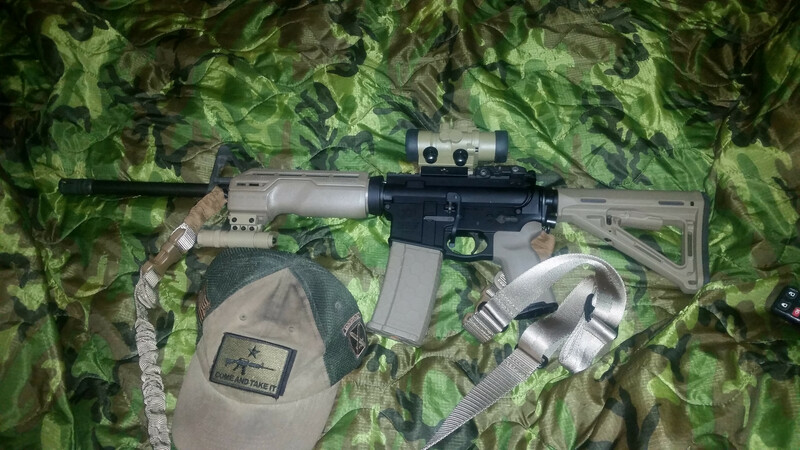 For example, the cap in the attached image (warning - the photo contains a rifle. If you are easily triggered by the sight of a firearm, click at your own risk) has a hook and loop, and the Gonzales Flag is a morale patch, same size, embroidered, with the opposite hook and loop piece on the backing. Make a patch for each pirate faction, each government faction, specific corporations, player corporations and alliances, there are a LOT of possibilities. Anyways, that's my suggestion for a better store. A long time ago, using a different toon, I bought a Minmatar Computer Case. It is awesome, I still use it. Well, it requires a degree in advanced CCPology to understand why did they launch a store with outrageously high delivery costs that hindered its abbility to perform. - we knew it would s*ck, but hey, players just wanted it! - we had this guy in office doing nothing, told him to set up the store. What could go wrong? - it's a CHALLENGE! Ta-daaa! HTFU! - nobody ever did it before, so, we're figuring our own way to doing it. What could go wrong? - all of the above. !!CCP!! Whatever the reason, EVE Online still doesn't haves a good shop. Still? The old store from about 10 years ago was awesome. Metal faction keychains, faction t shirts, posters, books, then along came the musterbrand gear. If you haven't seen it, google it, their hoodies were awesome, they also did faction patches as well as pirate and a quafe patch. Then suddenly the store died and a lot of years later we get the current one...that quite literally stocks nothing you'd want to buy. Why did the old store have to close anyway? The prices were reasonable, postage was also reasonable and speedy....did someone in CCP think "that store is too well stocked and too well run, lets close it and open a new one in a few years that sells shite and charges a fortune in postage".? New store is the old store (still INCREDIBLY EXPENSIVE shipping) just with nothing left anyone wants to buy. It looks like you're offloading excess Fanfest trinkets. CCP please just get the Musterbrand stuff back and stop ripping us off for triple shipping costs, then we'll all use your store. Suddenly I have become a lot more interested... I have a hard time finding a coffee cup that is capable of handling my near crippling caffine addiction!!! I would really love the opportunity to buy some eve posters and ship models again, i have been waiting for this for what seems like the better part of a decade. T-shirts with ships? Kaalakiota Scorpion was nice. You know its so unfair that we europeans pay way more then the rest if you buy your plex from the store. Now there is a grand offer 3 plex and a couple of skins for 50. If your in the US or Australia.. you pay 50 dollars yes.. but we pay it in euro`s.. The grand 47% off is still more expensive than buy your plex trough a 3th party supplier. I hope ppl from europe read this and wake up. Miniature ship models would be sick. 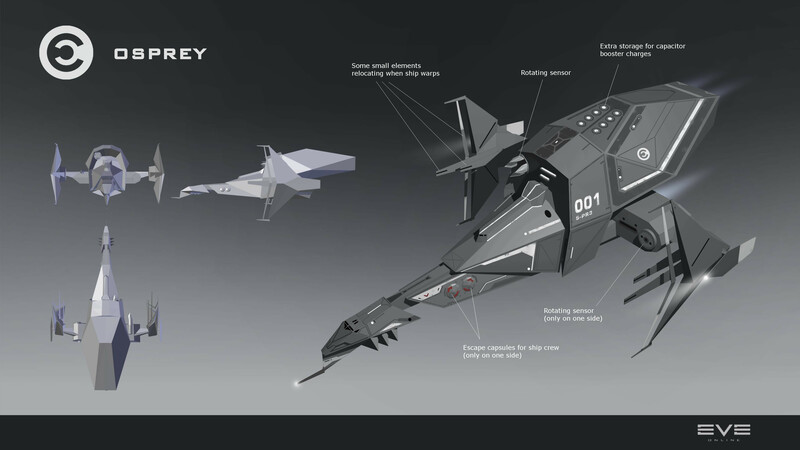 (Think Warhammer models) I'd for sure pick up a rifter and an astero. where is the rest of the store? i distinctly remember tons of posters, models, jackets, leather jackets, t-shirts, glasses, shot glass sets, laptop cases, caps and much much more.